The role of immunosuppression is essential to maintain the integrity of a renal transplant by preventing acute rejection. Among adult patients with solid organ transplants, standard immunosuppression does not vary among the major transplant centers in the USA and Europe, and consists of corticosteroids, calcineurin inhibitors and mycophenolic acid. However, children with renal transplants are more susceptible than adults to suffer adverse events related to this standard protocol, including short stature, nephrotoxicity, lymph proliferative disease and infections. For this reason, pediatric nephrologists have explored alternatives to standard immunosuppression while still maintaining acceptable graft outcomes. 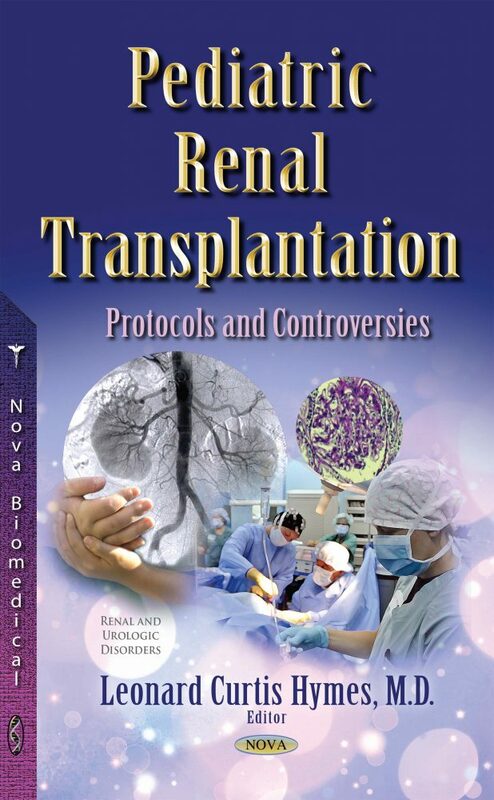 This book will explore this theme, which will include several chapters that present alternative immunosuppression protocol, in addition to other chapters that address challenging and controversial issues in pediatric renal transplantation. The first three chapters will describe immunosuppression protocols which may have specific benefits in children with renal allografts compared to standard regimens in adults. This includes the use of steroid-avoidance, which obviates many of the problems associated with corticosteroid use in children especially short stature and obesity. Secondly, the mTOR inhibitor Sirolimus is thoroughly discussed, including the potential benefits of this agent because of its lack of nephrotoxicity and possible anti-neoplastic properties. Lastly, induction therapy with Alemtuzumab is described, including recent studies that suggest that this agent may have definite benefits in children compared to standard induction with anti-thymocyte globulin.